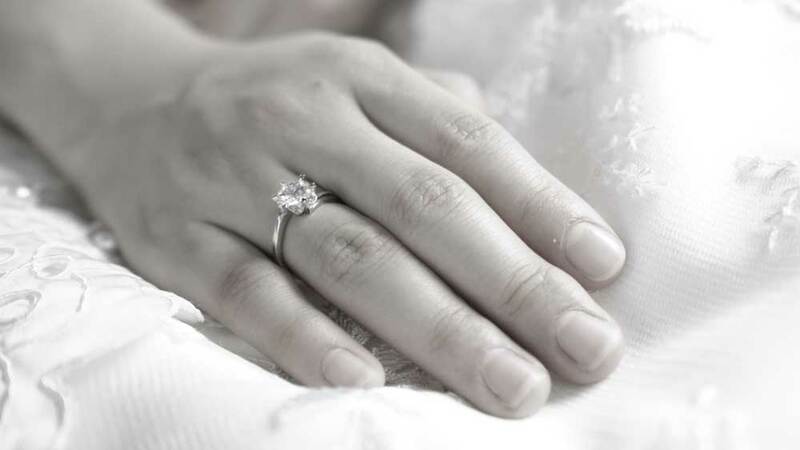 The history of the engagement rings goes back as far as early as 1215. The reason for the engagement ring was due to the long waiting period between betrothal and marriage. These ancient rings were usually very plain, consisting of gold, silver or iron. Gems were more than trinkets; they were important and reassuring status symbols to the aristocracy. In fact, many ancient laws address the need to preserve a visible division of social rank. These laws would ensure that only the privileged wore florid jewels. As time passed and laws relaxed, diamonds and other gems became obtainable to the middle class. Discoveries made prove that early Egyptians wore rings on their “Ring Finger”. The Bible records, in the year 1059BCE, Eliezer gave Rebecca a golden nose ring and golden bracelets upon determining that she would be the bride for Isaac. 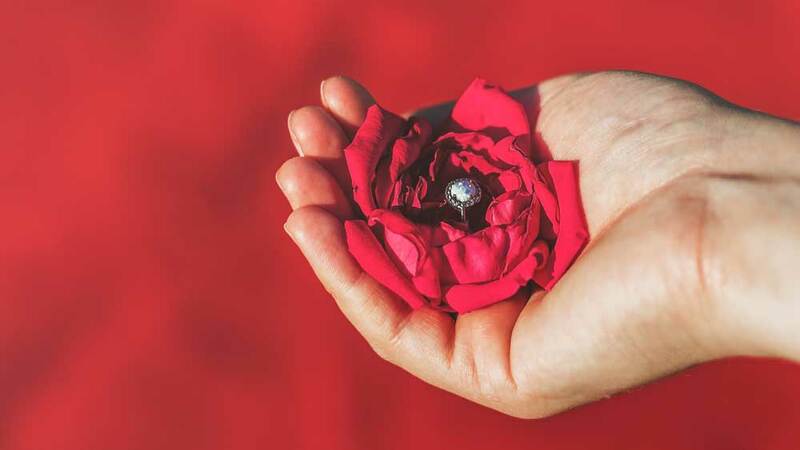 Early Romans believed that the “vein of love” was located on the fourth finger of the left hand and so began the custom of placing rings on that finger. The rings that they presented were far less romantic than the modern symbolism behind the rings. In Ancient Rome, the ring gifting ceremony was a sign of ownership. As for the diamond in the engagement ring, brides have the Archduke Maximillian of Austria and Mary of Burgundy to thank for that. 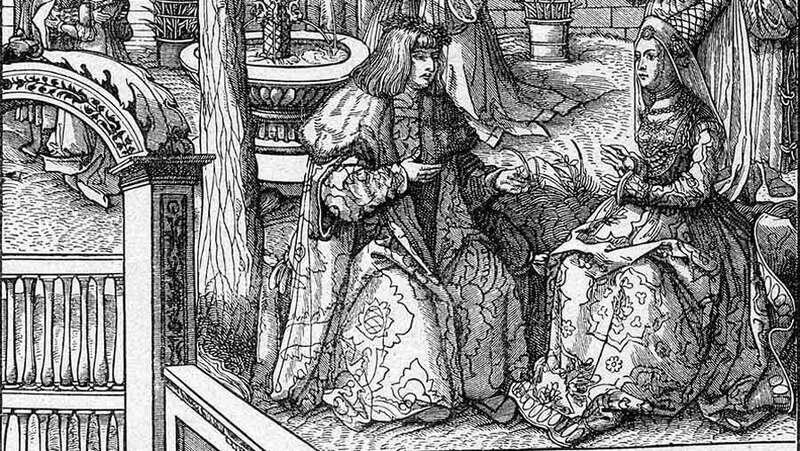 In 1477 he offered his beloved a diamond as a betrothal gift — the first recorded diamond engagement ring. Unfortunately, their marriage began a 200-year build up of contention, culminating with the War of Spanish Succession in the early 1700s. The trend of gifting a diamond ring for betrothal caught on among the royalty and elite. A Victorian tradition was the Regards Ring, in which the initials of the precious gems used spelled out the word ‘regards’. In the British-American tradition, an engagement ring is a ring worn by a woman on her left-hand ring finger indicating her engagement to be married. By modern convention, the ring is usually presented as a betrothal gift by a man to his prospective bride. It represents a formal agreement to chastity and a future marriage. Similar traditions seem to date at least to the ancient Greeks, Romans, and Egyptians. 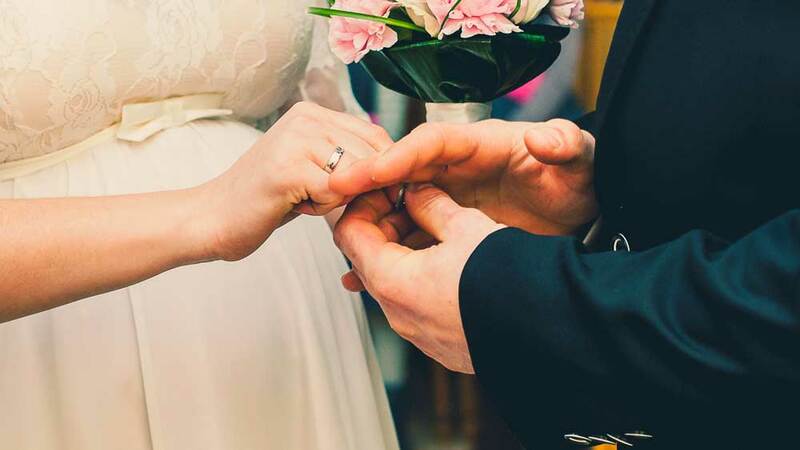 In the United States, it is more common today than it used to be for a woman also to buy the man an engagement or promise ring at the time of the engagement. Brazil and Germany both have the man and the woman wear separate engagement rings. In some societies, it is traditional for the engagement ring to cost the equivalent of one month’s pay of the man’s wages. In the United States, diamond industry advertisements advocate two months’ pay. A spokesperson from Tiffany’s Australia, quoted on the television program A Current Affair (February 1, 2005), suggested that a man should spend two to three month’s salary on an engagement ring. Perhaps no other object is as important to a young woman as her diamond engagement ring. It is the one piece of jewelry that every young woman dreams of. 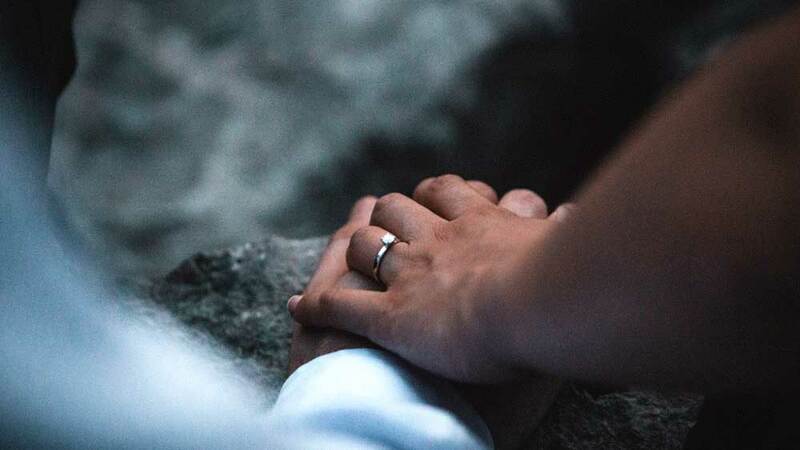 Generally made from platinum, gold, or sometimes silver, and usually including diamonds, an engagement ring signifies that a woman is spoken for and engaged to be married. The ring finger of the left hand is where the ring is usually worn. The engagement ring is representative of a formal agreement between a man and a woman to become married. The arrangement, or tradition if you will, dates back to ancient times and has a place in history with the ancient Egyptians, Romans and Greeks. Engagement rings are no longer just for the western civilizations. Brides in almost all cultures have now adopted this tradition. In modern times women are sometimes purchasing an engagement ring for their husbands to be. This is a common practice in parts of Europe and South America. The engagement ring is a symbol of wealth, or at least, an indication of what the man is worth. It is customary in the United States to spend the equivalent of three or four months salary on the diamond engagement ring, although two or three months is probably an average. At one time, engagement rings mounted sets of stones. One traditional sentimental pattern mounted six to celebrate the joining of two families: The birthstones of the bride’s parents and the bride (on the left), and the birthstones of the groom and his parents (on the right). The parents’ stones were mounted with the mother to the left of the father. The bride and groom’s birthstones would be adjacent in the center. Another similar pattern, for four stones, mounted the birthstone of the parents’ marriages, and the birthstones of the bride and groom. Token rings, when dismantled, will show a channel in which a lock of the suitor’s hair could be treasured. Others believe the engagement ring goes back to the time of the Egyptians. Below is some interesting trivia associated with engagement rings. 1. Ancient Egypt is given the credit with inventing the engagement ring even though the official records aren’t available. The documentable history of the engagement ring only traces as far back as ancient Rome. 2. The 1947 slogan, “A Diamond is Forever,” was a marketing project of DeBeers. In 1939 only 10% of engagement rings had diamonds. By 1990, the number of diamond engagement rings exceeded 80%. 3. The first well-documented diamond engagement ring belonged to Maximilian of Austria in the imperial court of Vienna in 1477. 4. The most expensive engagement ring recorded was the ring that Richard Burton gave to Elizabeth Taylor. The 33-carat Asscher cut Krupp Diamond was worth $8.8m. 5. The origin of the “ring finger” come from the belief systems of ancient cultures. They believed that the fourth finger on the left-hand runs directly to the heart. 6. Jewelry is not the most common application of diamonds. In fact, 80% of diamonds go toward industrial uses. 7. A recent study revealed that 28% of women would turn down a proposal if they didn’t like the ring! What’s in the Engagement Ring? Official tradition dictates that an engagement ring features a diamond. The rules aren’t so strong any longer. Sapphires, rubies, and emeralds are gaining popularity. Due to their softness, pearls won’t usually be the feature stone of an engagement ring. The most popular metal for engagement rings would be gold. The most preferred and cherished engagement ring material is platinum. 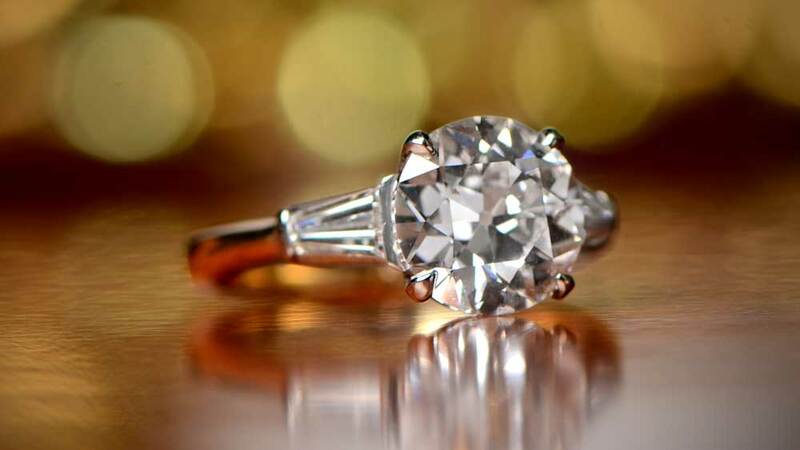 What do you think of the History of Engagement Rings? Tell us in the comments below!